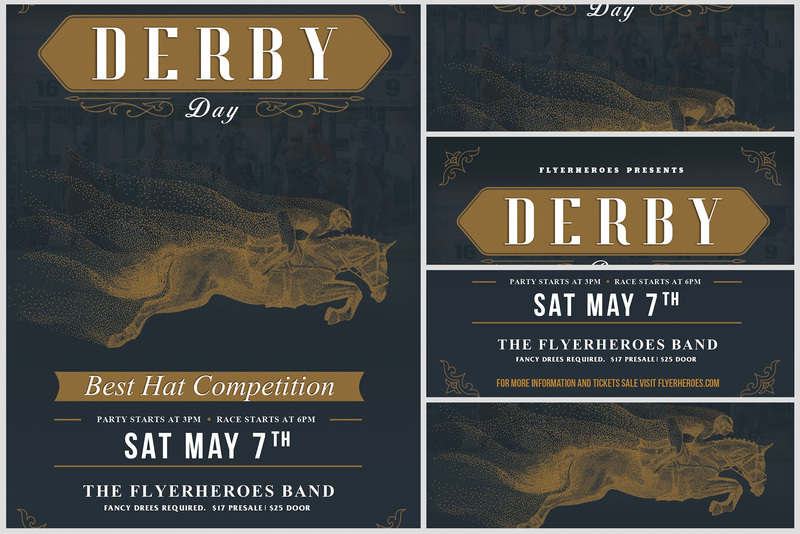 Having a party for the Kentucky Derby? 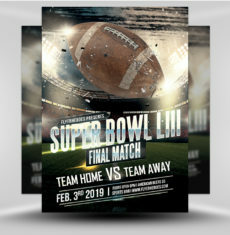 Promote your event with this elegant flyer. 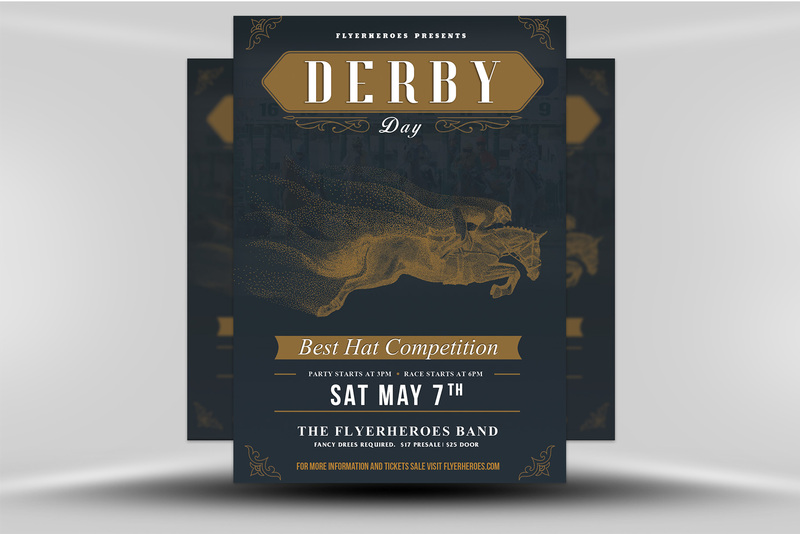 This vintage flyer features a unique, simplistic design. 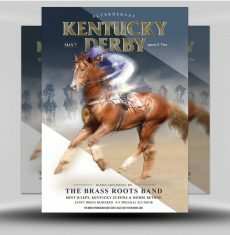 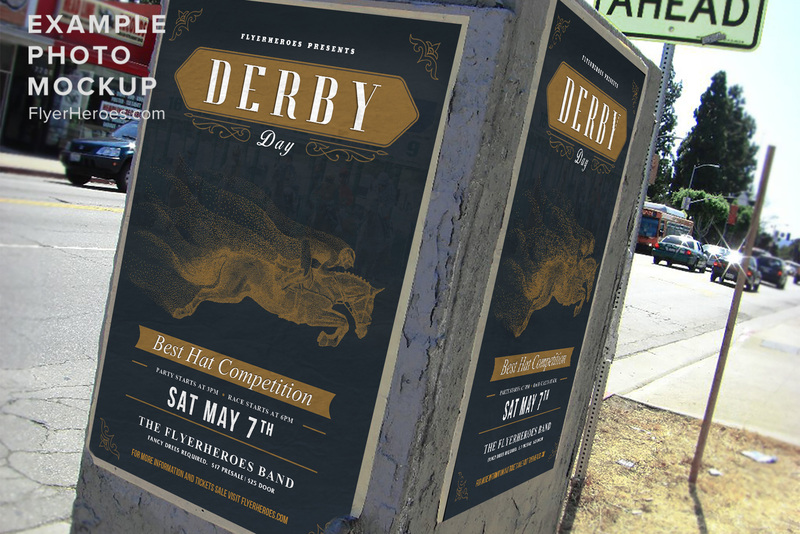 With a dark blue background and a faded image of horses ready to run at the Kentucky Derby, this flyer is sure to draw your viewer’s eye. 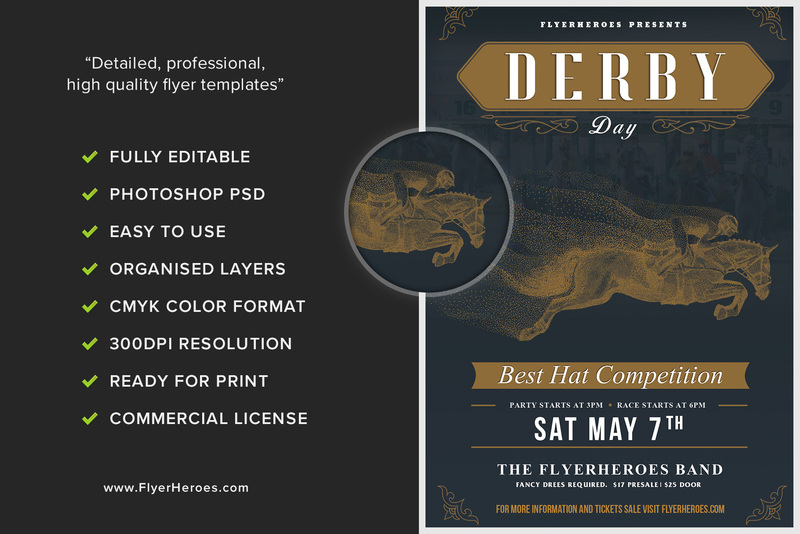 With a variety of fonts, styles, and sizes, the design flows easily while making your event information easy to read. 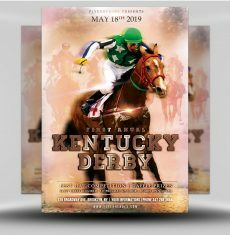 Use this flyer to promote a special event at your venue for the Kentucky Derby!